There are many energy drinks available in the market to keep you energized throughout the day. But most of them contains refined sugar, high level of caffeine, and chemicals that can harm you in the long run. Natural energy drinks are a healthy alternative whenever you feel sluggish and need to boost your energy level. If you are looking for natural, inexpensive, easy to prepare homemade natural energy drinks this article will help you for sure. 1. 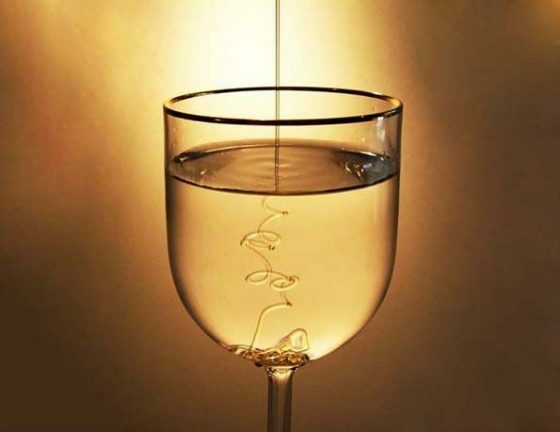 Honey and water- This is an appropriate natural energy drink that also burns fat. You just need to mix half teaspoon honey in a glass of warm water. Shake it well and drink it. 2. Apple, lemon and ginger energy drink- Take 1 green apple, 2 carrots, 2 sticks of celery and a small piece of ginger. Put all the ingredients in mixer or juicer and extract the juice. Stir it and drink it. It will promote digestion, prevents nausea and reduces pain. 3. Chilled Chia green tea– Take 1 cup of green tea and add to it 2 teaspoon Chia seeds and a teaspoon honey. Mix the ingredients properly. This natural energy drink is rich in proteins and omega-3 fatty acids. 4. 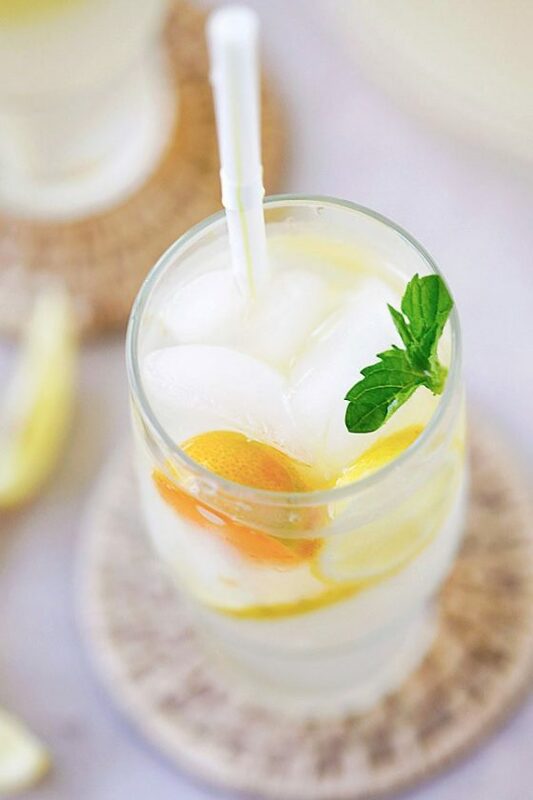 Lemon coconut water, drink– Take a glass of coconut water and squeeze half lemon into it. Coconut water is rich in potassium and thus replenishes electrolytes. 5. Watermelon and coconut water, natural energy drink- Take a few pieces of watermelon and blend it well. Now add a glass of coconut water and a few drops of lemon juice to prepare the drink. Being rich in lycopene this drink not only restores electrolytes but also eases muscle soreness and also promotes heart functions. 6. 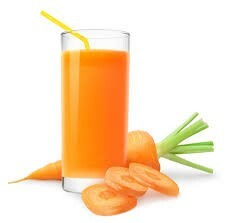 Carrot juice– Carrots are rich in carotene, proteins, and minerals. Just take 2 to 3 carrots. Peel them and blend to make a vitamin A rich natural energy drink. 7. Mango shake– Extract the pulp of a mango and blend it along with a glass of milk. Shake it well and drink it to charge yourself. 8. Banana protein shake– Take a half banana and add 2 teaspoon almond butter, half cup of properly chopped kale, 1 tablespoon curd, a cup of coconut milk, 2 teaspoon vegan protein powder and 1 teaspoon hemp seeds. Mix all the ingredients and blend them properly to prepare healthiest protein power up natural energy drink. 9. Green blend– Take a cucumber, one-fourth cup of kale leaves, one-fourth cup of spinach, 2 teaspoon parsley and 1 stalk of celery. Combine all ingredients and blend them properly. This drink is rich in Chlorophyll, vitamins and promotes detoxification. 10. 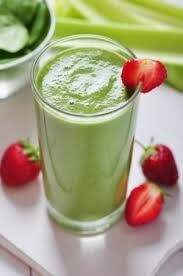 Fruit smoothie– Take a half apple, half banana, 1 kiwi, 2 strawberries. Blend them properly and mix them with orange juice prepare vitamin rich drink. 11. Tart cherry– Mix half teaspoon honey to a glass of tart cherry juice. Squeeze a few drops of lemon juice to it. Being rich in sodium, potassium, carbohydrate this drink fuels your muscles. 12. Orange flaxseed shake– Take a glass of orange juice and mix 1 teaspoon of flaxseed powder in it. Shake it properly before drinking. This natural energy drink is rich in potassium, folate, magnesium and omega-3 fatty acid thus keeps your refresh throughout the day.